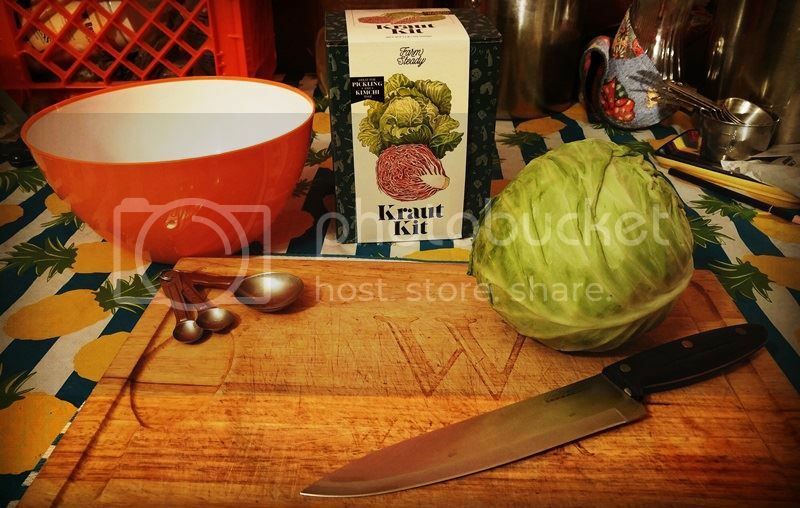 FarmSteadys Sauerkraut Kit - The BSB SportzMan - A Forum for OutdoorzMen! food that a person could ask for on this earth, and it is virtually free! All one has to do is invest a little time and effort. practices; however, before those technologies were developed, people engaged in other food-preservation methods such as dehydrating, curing…. handed down and passed around, creating beloved foods and national dishes. 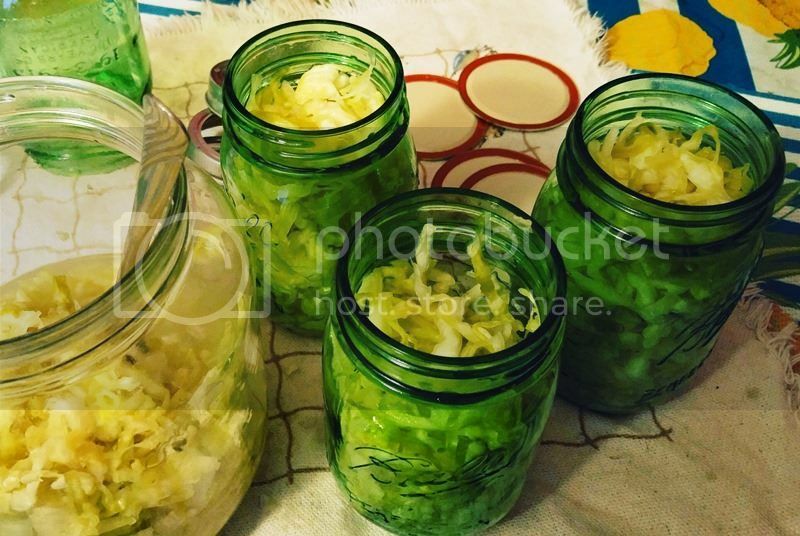 The most familiar fermented foods are made using lacto-fermentation. also common to the gastrointestinal tracts...of humans and other animal species. necessarily need to involve dairy products. substances that may contribute to good health. to post on the subject, they are encouraged to so do. wondered if it was the “best” way to go about it, especially where food safety is concerned. kits included pretzels, bagels and various fresh cheeses, so I scooped up one of each and have been working my way through them. support this endeavour; to me, the education, experience, convenience and the inspirational “get-it-done” enthusiasm that come with the kit are worth it. post office was closed by the time we got home, so I had to wait until the next day to pick it up. a reference point, even if I don’t follow it. the better; but there is something very satisfying and “old school” about slicing it by hand. go wild when it comes to this. One goal for the future is to add some chopped hot chiles. reserve one large leaf, which will be used later. 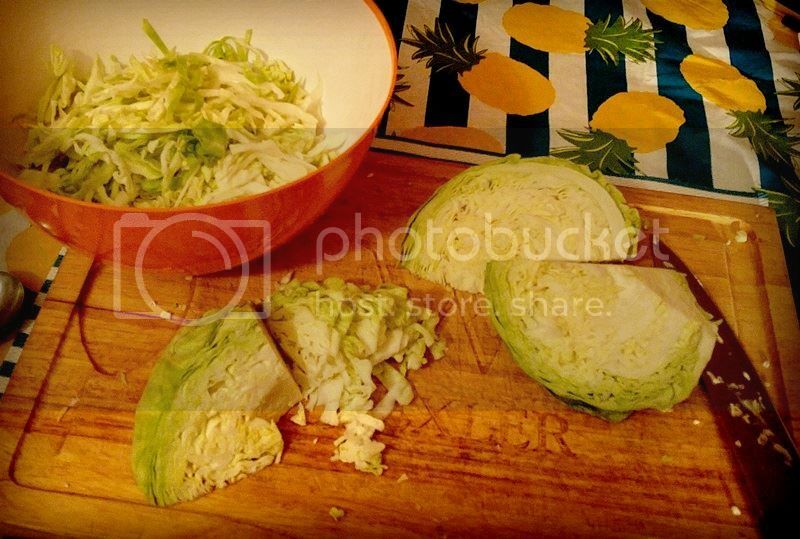 tablespoon per pound of the original head of cabbage. 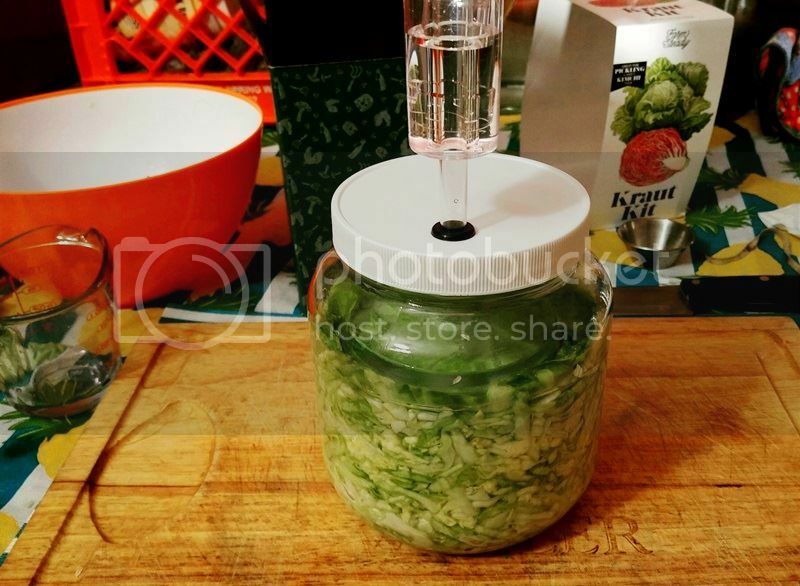 as I was this time; indeed, this sauerkraut-making thing might be rather therapeutic, I think, but it’s all good. I ever use them, I’ll probably cut that amount in half, at least the first time. making, and as simple as it was, I really enjoyed it. the base of jar or the lid as a guide. If it’s a little larger, that’s okay, too. according to the manufacturer’s instructions; you will lose some of the fresh crunchiness, but the flavour will all be there. some Korean Kimchee. If anyone has any questions, comments or other feedback, please feel free to post them here, and I will be sure to reply. I use 3 1/2 gallon bakery buckets and plate weighed down with gallon ziplock back (filled with brine, 1/4 cup salt per gallon, in case it leaks) covered with towel or loose lid. 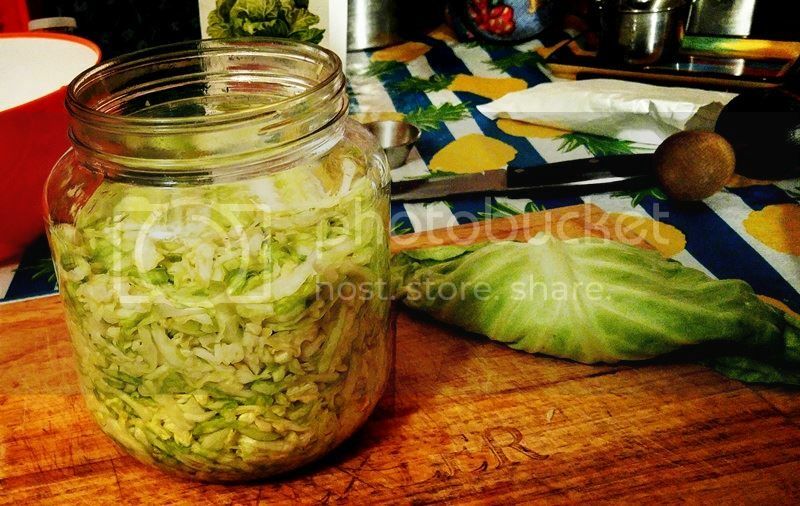 I use pickling salt (non-iodized) 1 tbs per med head of cabbage, double if using kosher salt. 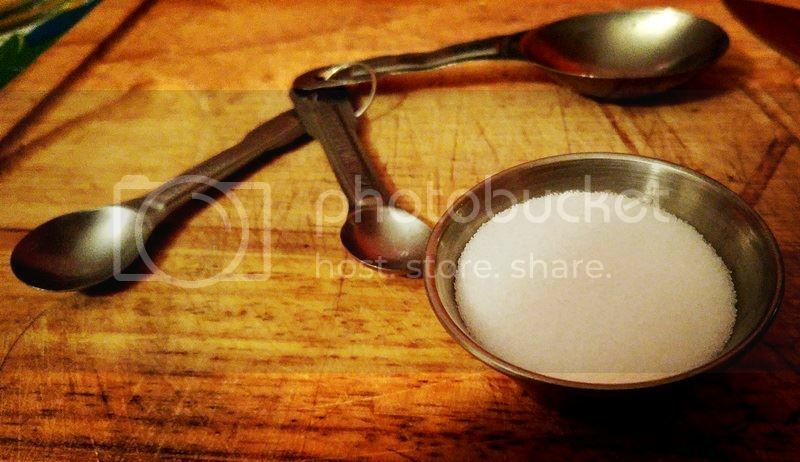 I shred with knife, layer in bucket, sprinkle with salt each layer, and using meat stomper from grinder, crush each layer. If you like caraway, add to taste. I fill bucket, about 15-20 heads worth, cover with clean glass plate, weigh down with ziplock bag. 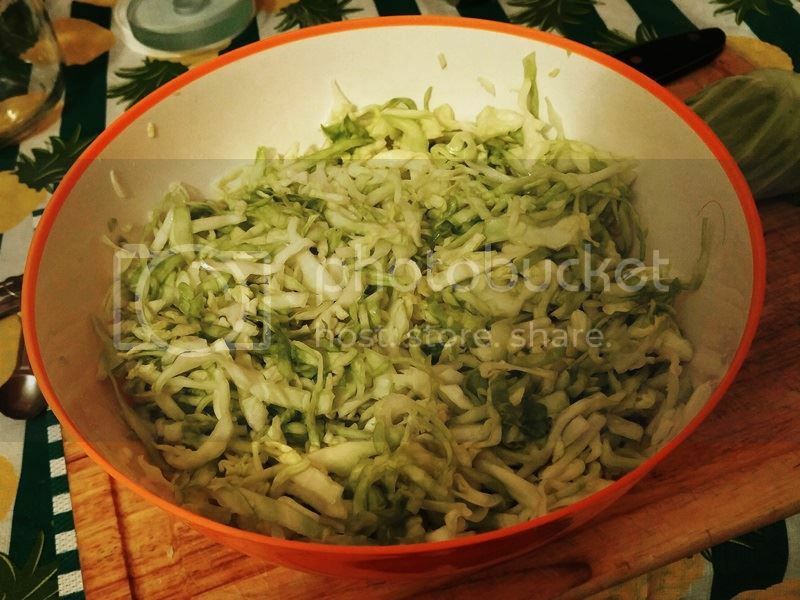 After 24hrs, I stomp it down again and make sure cabbage is under brine, place plate, weight bag, and lid back on. I let it go, checking for scum every day and skimming if needed. After week, test for sourness and when sour enough, pack in jars and place in frig. My great-aunt used to always have few crocks going in basement, some with caraway some without. I don't care for canned, too soggy for my taste, I like a bit of crunch to mine. Over time, even in frig, it gets more sour and may build pressure, so burp jars every once in a while and it should keep until summer. 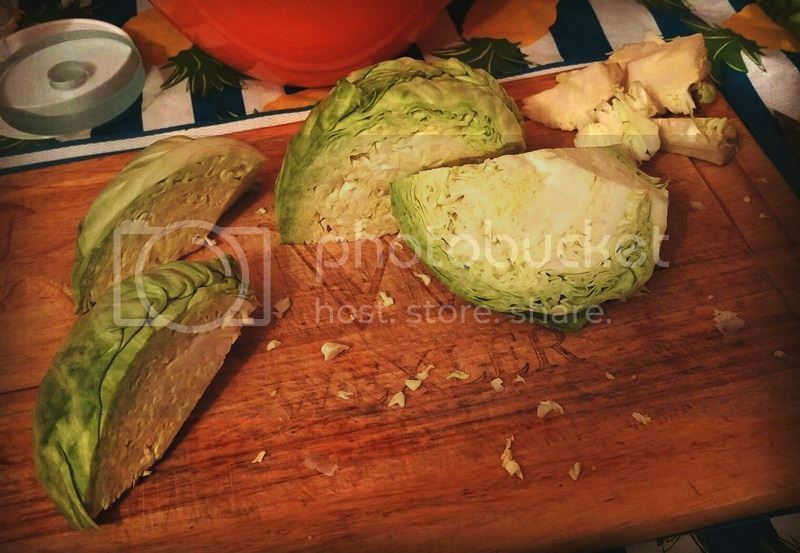 I also made Kimchi, gallon worth, I had reg cabbage, but napa cabbage is traditionally used. I used 4 heads cabbage, 2 sliced red onions, pound of daikon radish (cut in short match sticks), 2 tbs pickle salt, 4oz of chili garlic sauce (half a 8oz jar from Asian section of groc. store), 2 tbs of grated ginger, 1/4 cup of fish sauce (more or less to taste), 1/4 cup of dragon tooth chiles (too taste). I cut half cabbage and all other vegies (carrots are normally added, I didn't have so added second onion instead) mixed salt, chili garlic, ginger, chilies, and fish sauce into cabbage. 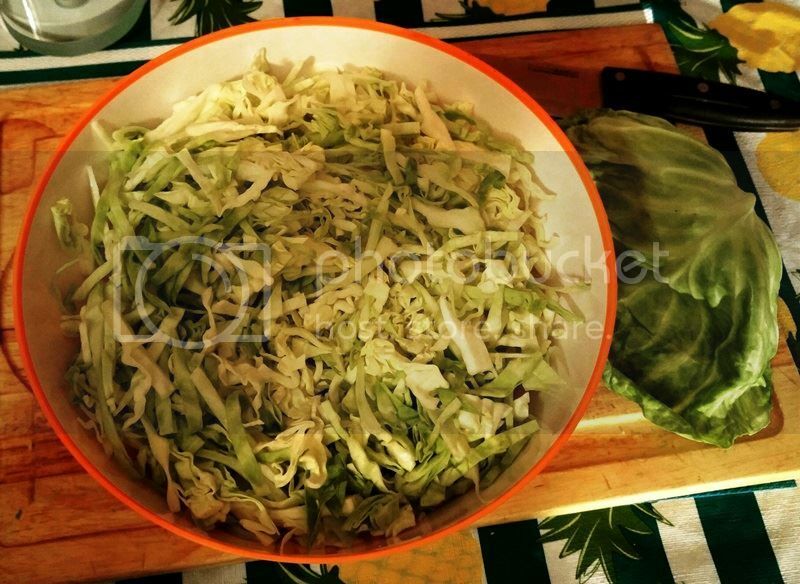 I then added rest of cabbage in couple additions, mixing and mashing each time. I weighed down with gallon ziplock bag, filled with brine, making sure everything was covered. Checking after week and placing in frig when hot and sour enough. Next time, I would add carrots, pound of so of matchsticks, instead of second onion, I also didn't pickup any fishy taste, might add shrimp sauce or anchovy paste to bump that up. Dragon tooth chilies added heat, but when you bit into whole one, you knew it, will leave out and add more chili garlic if heat is desired. All in all, it turned out well, almost additively, salty, hot, crunchy, goodness, not near as hot/fishy, as spicy Kimchi in store. Could one add some thin sliced onions with the caraway seeds? I believe so - I see no reason why not, and it sounds good! 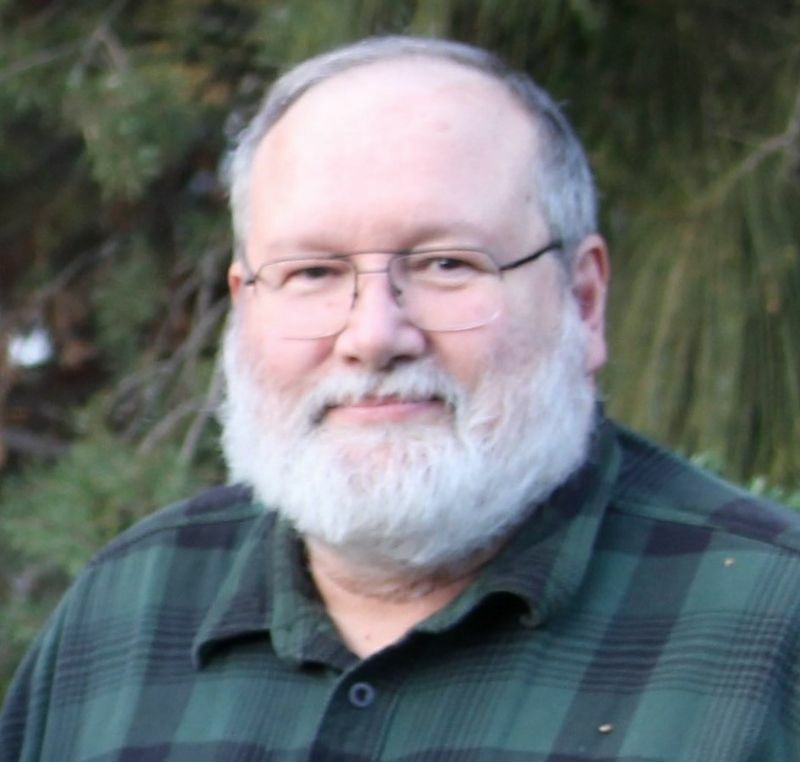 Robert - some very good, very valuable information. Thank you for posting. I am finding this to be a really cool endeavor, and am looking forward to seeing where it leads me. 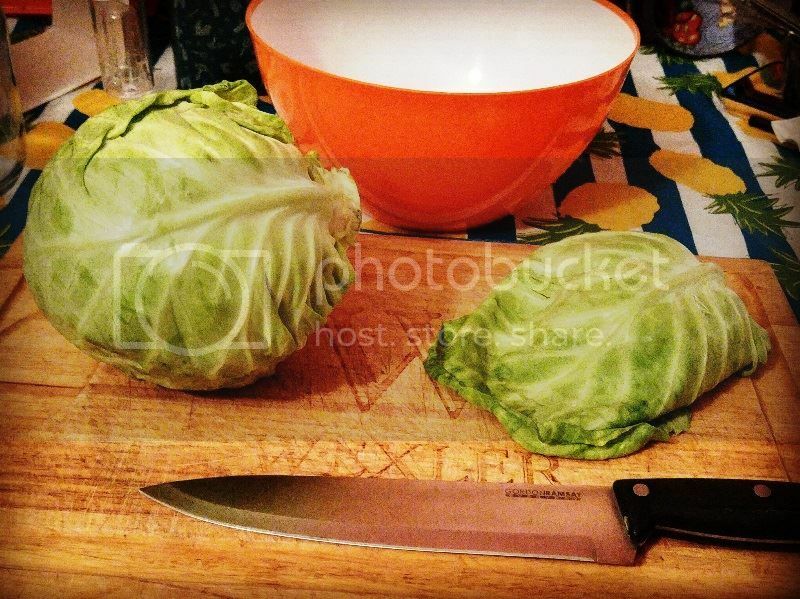 I caught cabbage on sale, after St. Pats day, for quarter a head. I made up a 3 1/2 gallon bucket of kraut and Qt of Kimchi(with just chili garlic and fish sauce), by Easter it was gone. 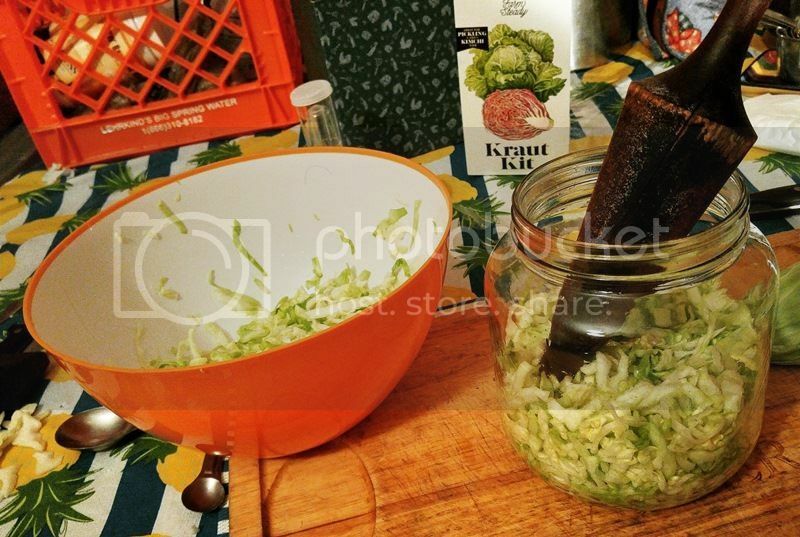 They had cabbage on sale again, I made another bucket of kraut and gallon of Kimchi, adding vegies this time, down to three pints Kimchi and couple gallons kraut. I just eat by itself, as snack, or as a side. I was nervous, making Kimchi, but it's pretty easy, just like making coleslaw, except salting it, adding chili garlic, and adding fish sauce, instead of dressing. If fish sauce doesn't sound appealing, I'm sure soya would work. 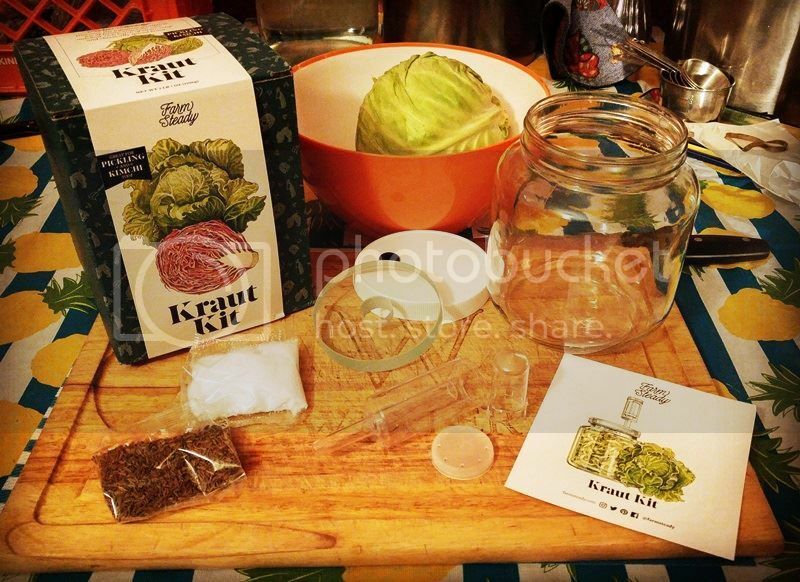 As you know from doing kraut in jar, once you salt and smash it down, you'll fit about double in jar (shouldn't need to add water) and just burb jar couple times a day. I put jar on saucer, in cardboard box on counter, to cut out all light and control any overflow. Neighbor is Ukrainian, she gave me some canned kraut, she makes from red cabbage and some sliced beets and greens, beets were sour, spiced and very good. https://www.thespruce.com/lacto-fermentation-fruit-and-veget able-recipes-1327727 has many recipes to explore. Good link - thanks, Robert! I wish I lived next door to your neighbor. I am betting I could learn a lot of good things from her! Also, my friend Brook and I were discussing this project, and he brought up a great point: This particular kit includes hard goods you can use over and over again. Think in terms of amortizing that through usage. 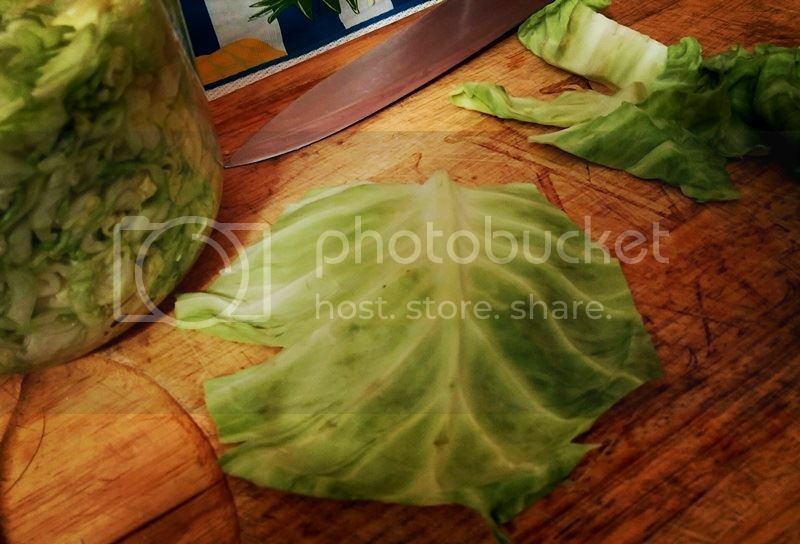 The first time you make a batch, it costs 35 bucks plus the cabbage. Second time, it’s down to $17.50 plus cabbage, etc.... Looking at it like that, the cost-effectiveness of this kit shot way up, in my opinion. I sincerely hope that some folks who read this are inspired to give it a try. I highly recommend this kit, as it can become a gateway into some really interesting things. 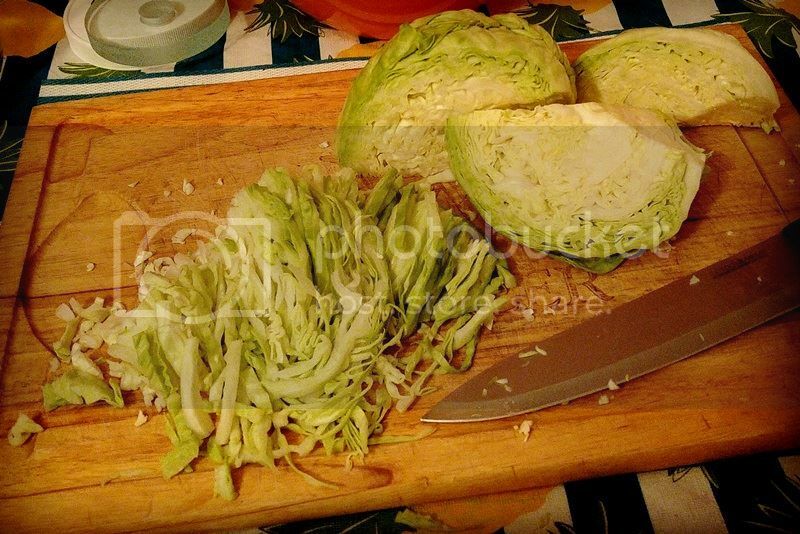 This, to me, goes beyond just getting a head of cabbage and cutting it up. There are a lot of avenues that can be explored with different food - and this, to me, leads to a greater interest in gardening...or, at the least, local farmers' markets etc. It's pretty cool over-all, I've decided. Following up, my sauerkraut fermented for an extra week due to my lack of good time management in life...no big deal, everything seems to have turned out fine! 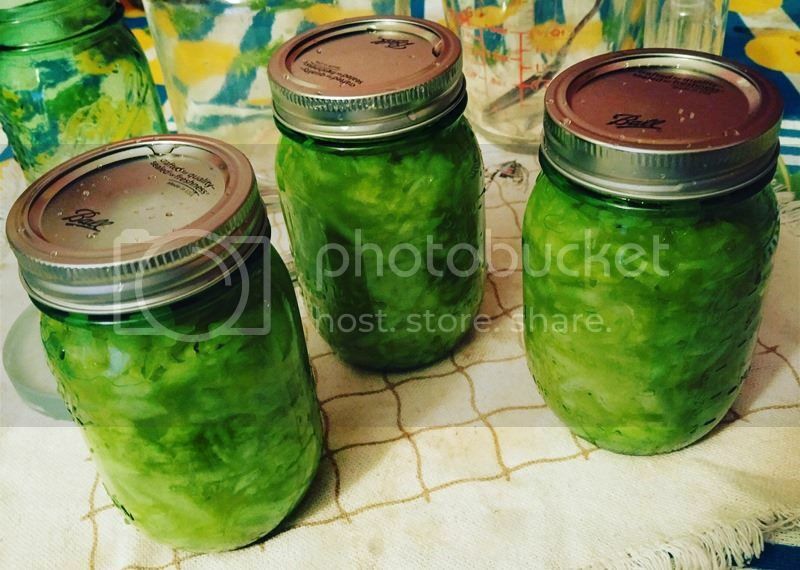 Worthy of note: a 2.35-pound head of cabbage yielded three pint-sized jars, filled up to 1-inch from the brim. The packing into the jars was neither loosely nor overly-tightly; just a happy medium. With this room to spare, I am guessing that a 2.5- or possibly even three-pound head of cabbage would have made enough sauerkraut to fill them completely. Based on the experience, and the fact that I can use this equipment over-and-over, I am 100% satisfied with this kit, and I do strongly recommend it. I had a lot of fun, it was easy, and I can't wait to try a few more projects with it. Once thing is for sure, I probably won't be buying sauerkraut at the grocery store any time soon! I would start another batch, before it gets too warm, you'll be though first batch before you know it. 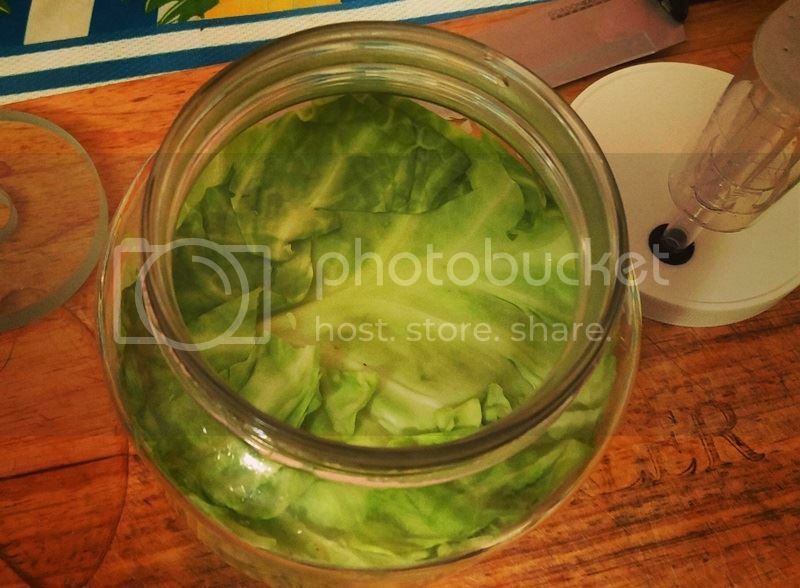 If you have room in frig, you can leave it in gallon crock and it'll slowly age. Remember it goes great, as a side with BBQ or instead of slaw on pulled pork sandwich. 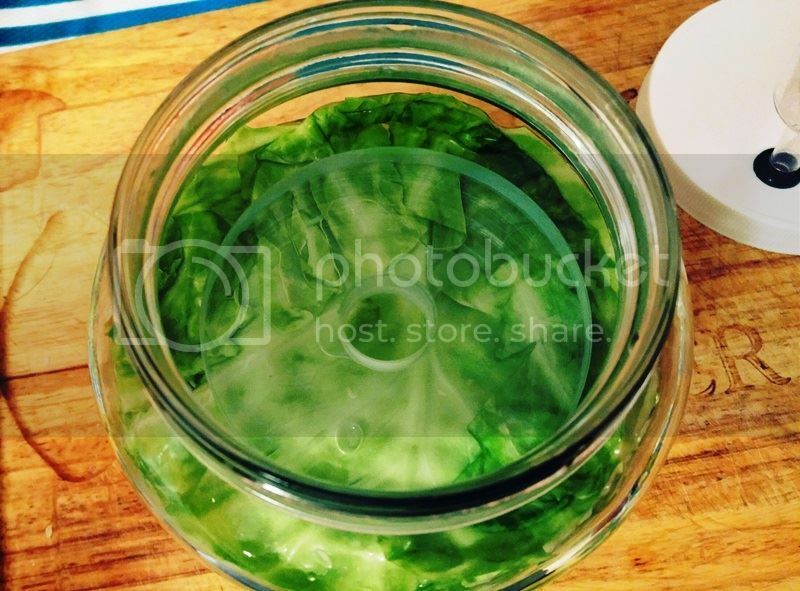 When I pack in jars, I like to pack it tight and work all the air bubbles out. It will keep better, if you keep it packed, less surface to oxidize. Luckily, I did pack it tight! 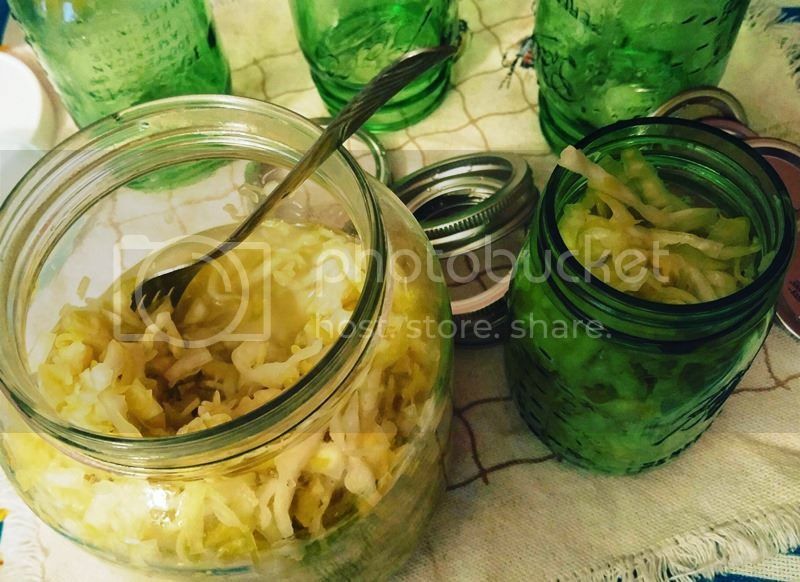 I was rummaging around in my refrigerator last week, and found my jars of sauerkraut, still waiting for me. In the hustle-and-bustle that was the previous year, I completely forgot about it. 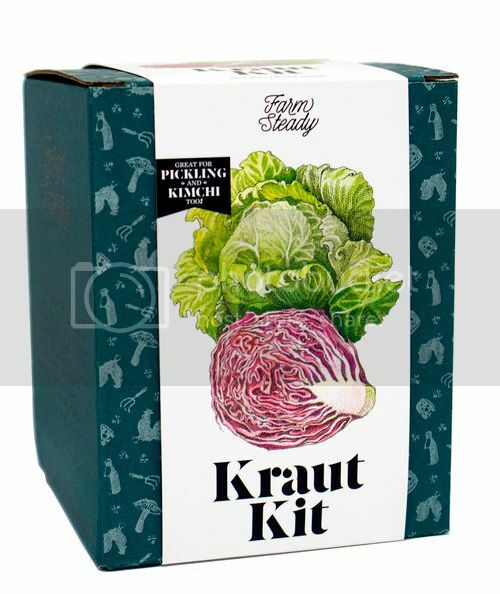 As has been mentioned, sauerkraut is only the beginning; this kit can obviously be used to make a lot of lacto-fermented things...even a sourdough starter for some great bread, pancakes and biscuits! I started some cucumber pickle chips the very next day with this method, and am re-committed to doing some other projects.